As the famous saying goes, ‘Rome wasn’t built in a day’, which though true, it is most definitely possible to visit its highlights in two days. 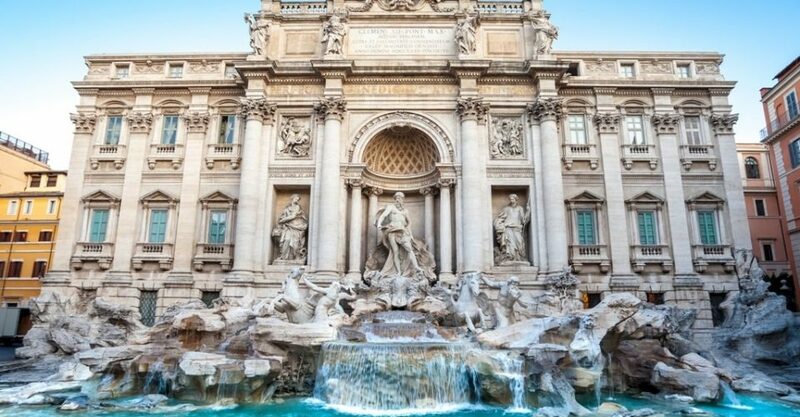 Branded the ‘Eternal City’, Rome has a history unlike any other city in the world; from the days of Gladiators and Chariot racing, to Renaissance paintings and architecture, all the way up to modern day, the metropolis continues to thrive. 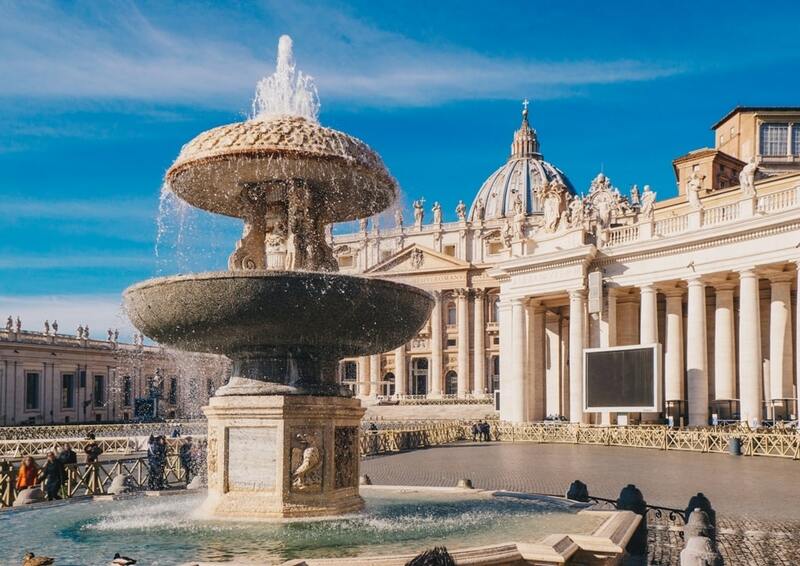 Whether you prioritise sightseeing and ticking landmarks off of your bucket list, or simply soaking in the atmosphere of a city, this two-day itinerary has you covered to get the most out of your trip to Rome. The best way to start your Roman experience is to eat breakfast the way Italians do. 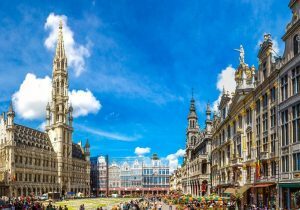 As you may know, the locals are fanatic about their coffee and the way in which it is drunk; head to one of the many cafes dotted around the city, otherwise known as Snack Bars, and order yourself a cappuccino and a cornetto. Italians detest drinking coffee with hot milk after around 11am, so the cappuccino is very much considered a morning drink. Enjoy your coffee like a local by standing at the bar and drinking it, rather than sitting down, as sometimes, you will be charged more. 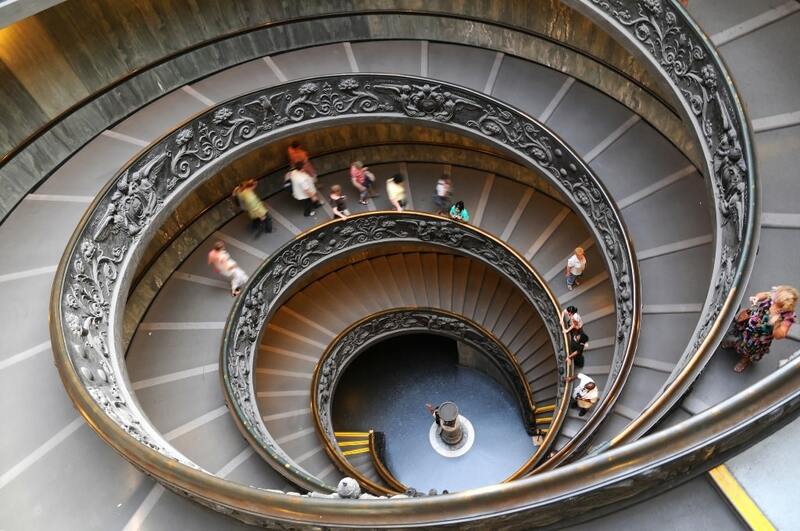 Founded in the 16th Century, the Vatican Museum houses an extensive collection of masterpieces and artefacts. The scale of the Museum and sheer number of works is breath-taking, and you could spend your entire trip to Rome here. Discover some world-famous paintings by the artistic greats, such as Caravaggio, Titian and Da Vinci, as well as the stunning Sistine Chapel, painted by Michelangelo between 1508 and 1512. Next, join the queue to enter St Peter’s Basilica; you must make sure that your legs and shoulders are covered, so either wear longer clothing or a scarf, otherwise you will not be allowed in. The inside of the St Peter’s is awe-inspiring, and immense inside, so ensure that you take your time to appreciate all of its glory. You can also access the Vatican Grotto, which lies beneath the main building and is the resting place of previous Popes. After this, purchase your tickets to visit the top of the dome; for the stair-route it is 8 euro each, and to take the elevator it is 10 euro each. From the top, you can see all of Rome, as well as having a perfect view of the Vatican Gardens and St Peter’s Square. What better place in the world to eat pizza than Italy? In Rome, it is very common to pay for pizza by the weight of the slice, so you will see many pizzerias that offer this; it is perfect, as it means you can have as little or as much as you want, and in most places, pay a very reasonable price for it. Just make sure you ask first as to roughly how much a slice is, as some places will take advantage of the fact that you are a tourist and rip you off. After the Vatican Museum, head towards the river, where you will come across Castel Sant’Angelo; completed in 139AD, this landmark was built as a mausoleum for the emperor Hadrian. In the 6th Century, it was turned into a Papal Fortress, which you can visit today, and admire gorgeous panoramic views of Rome from the top, and visit the vast collection of artefacts inside. Tickets are 15 euro each, or 7.50 euro each if you bring your valid documentations stating that you are a European Union citizen. 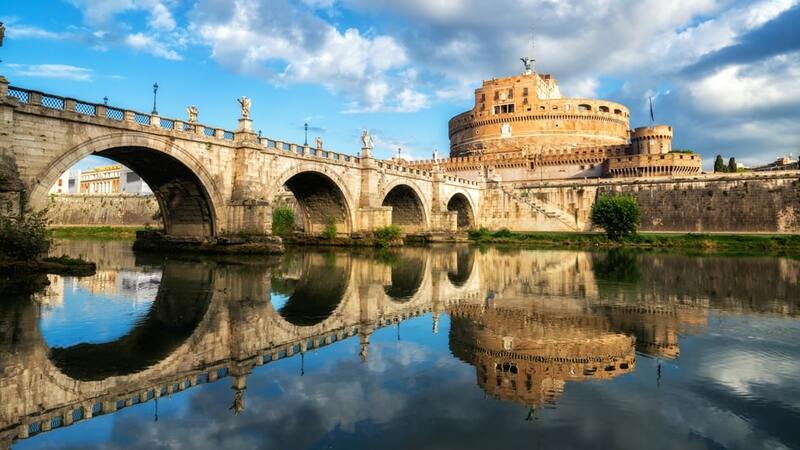 After visiting the Vatican and the Castel Sant’ Angelo, head along the river towards the neighbourhood of Trastevere. Here you will find cobbled streets and ivy-covered buildings, and feel as though you have stepped out of the hustle and bustle of Rome, and into a quaint Italian town. 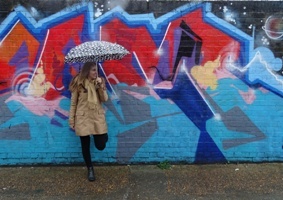 There are so many restaurants to choose from, and all offer something different. After feasting on some Italian pizza and pasta, venture to the main square for some street entertainment and watch the sunset. Like the previous day, the best way to have breakfast in Rome is in true Italian fashion; locate a Snack Bar or café and order yourself a beautiful cappuccino and cornetto. One of the world’s Seven Wonders, the Colosseum is one of the most incredible and famous landmarks on earth. 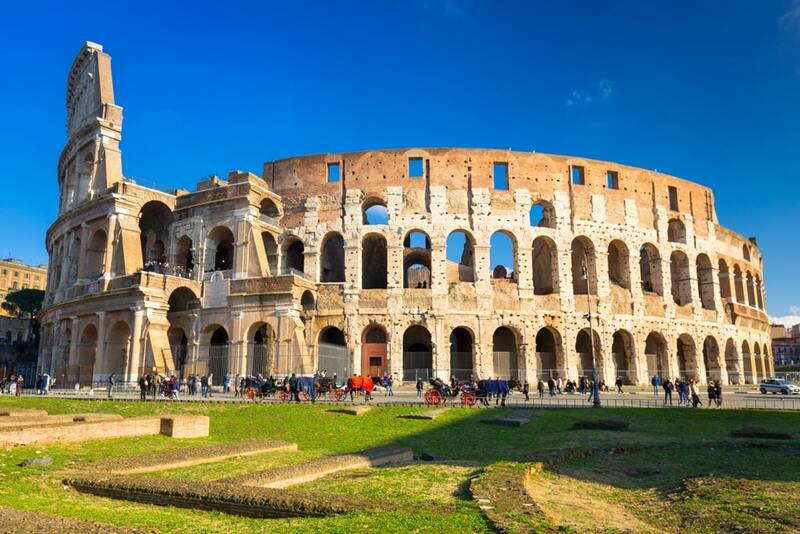 Construction began in 70 AD, and it was used as an amphitheatre for Roman entertainment. Aim to visit the Colosseum at 8:30 am, which is when it opens, as the weather will be much cooler (in summer), meaning you will be able to appreciate it more, and also, there will be less tourists! 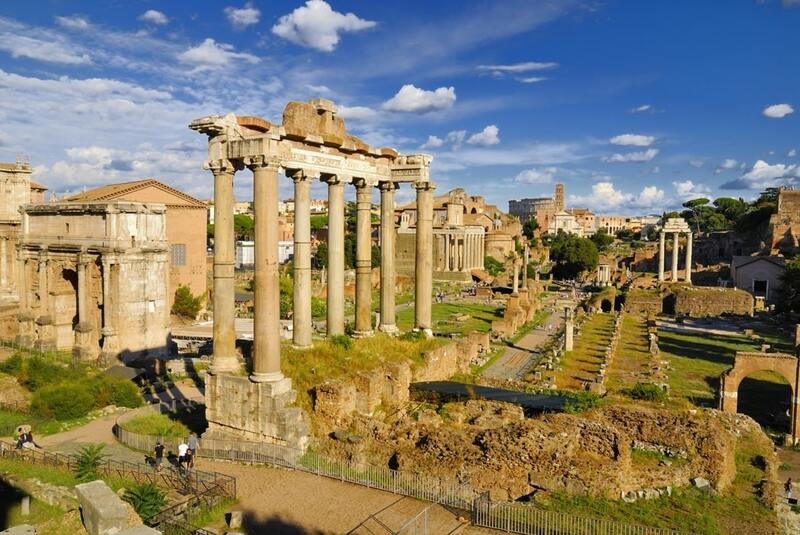 After the Colosseum, stroll down towards the forum and gaze in awe at some Ancient Roman ruins; there are many information boards scattered around this area, informing you as to what the particular ruin used to be, and how it may have looked. Afterwards, continue on towards Altare della Patria; often branded as ‘The Wedding Cake’, this stunning white tiered building was completed in 1925, to honour Vittorio Emanuele II, the first king of a unified Italy. Next to Altare della Patria is Palazzo Venezia, a gorgeous Venetian style palace dedicated to Renaissance artefacts, whilst also boasting beautiful Italian gardens and architecture. 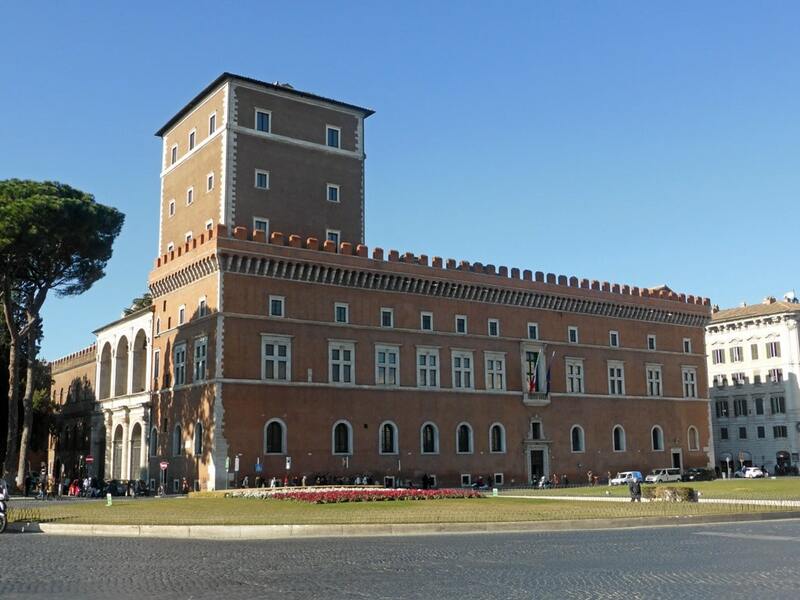 If you are visiting Rome in summer, at this point you will likely be exhausted from the heat, so Palazzo Venezia is the perfect way to cool down; regular tickets are 10 euro each, but if you bring your European Union identification, it is only 5 euro each. 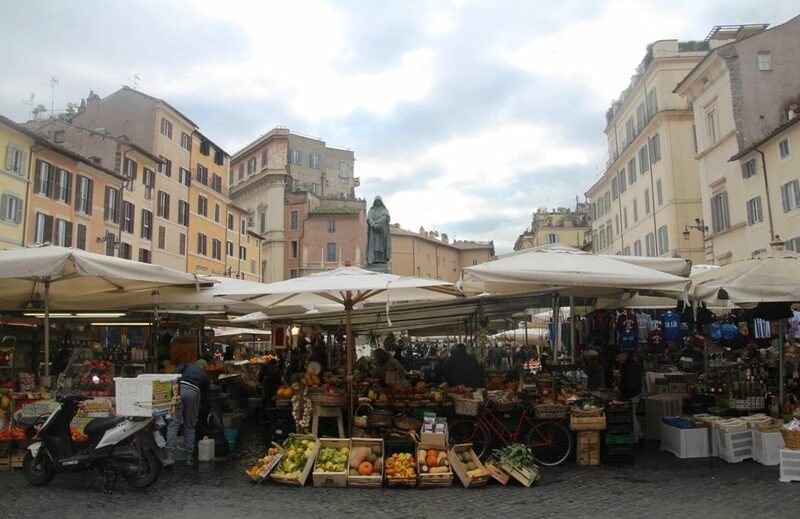 Just behind the restaurant lies Campo de’ Fiori – Field of Flowers. This is a wonderful daily market which runs from 10am until 2pm, where you can find fresh fruit and vegetables, flowers and clothes. As well as these, there are lots of souvenirs you can purchase, such as a vast selection of Limoncello and olive oil. Once you have explored what the market stalls have to offer, visit one of the many bars dotted around the edge of the square; in the afternoon, lots of the bars have a happy hour, that typically charge around 5 euro for an Aperol Spritz – a popular Italian drink that the locals and tourists alike enjoy! Just a minute off of the main square is Arco degli Acetari, a hidden Medieval courtyard where vinegar makers used to work; it makes for a gorgeous photo. There are so many enticing restaurants and cafes across Rome, so much so that you will feel spoiled for choice when selecting where to eat. 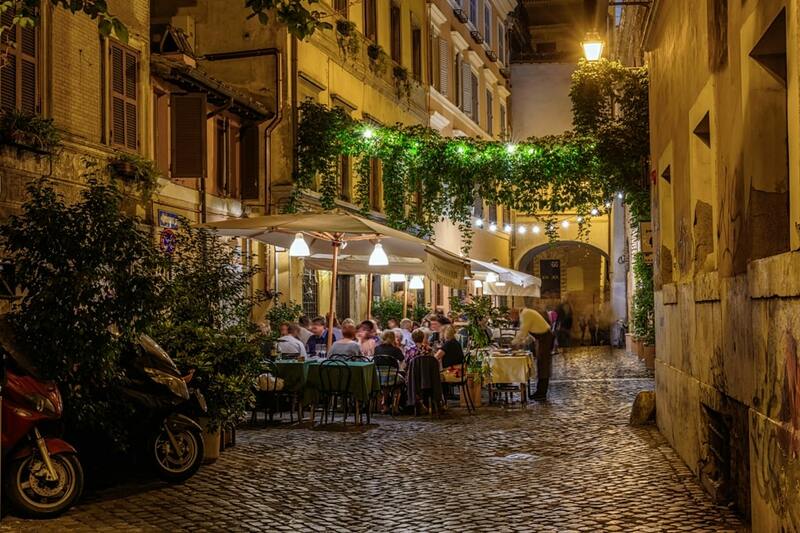 One recommendation is Café Bianco, located just behind Piazza Navona. Here, you can indulge in a 12-euro deal, that consists of a starter, a main and a drink. 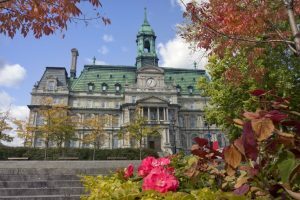 The food is delicious, the service is quick and friendly, and the location is incredibly central. 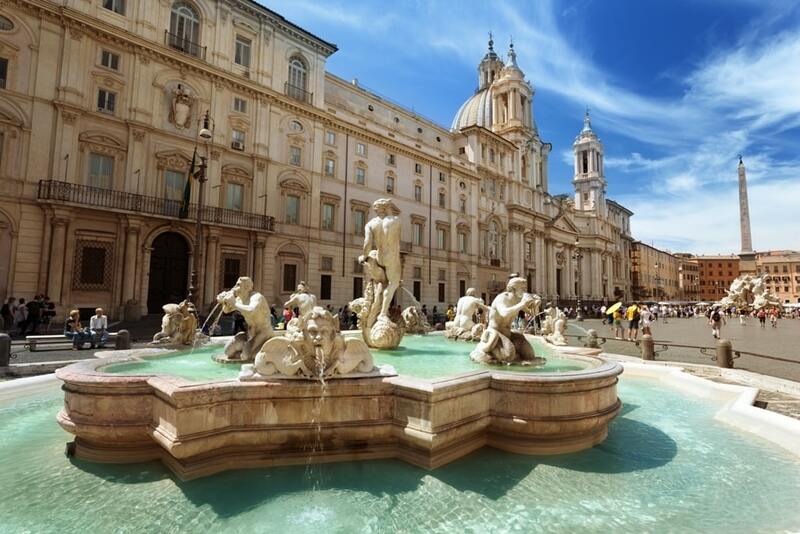 Stroll onwards towards Piazza Navona, an immense and bustling piazza, full of tourists and locals like, boasting an array of restaurants, bars and street entertainment. The piazza has an extensive history as well; it was originally built in the 1st Century to house games, and was later paved over to make it what it is today. Once you have explored Piazza Navona, just next to it is Museo di Roma, a wonderful museum that houses a large collection of famous artefacts and paintings. It is the perfect way to escape the crowds and cool down. 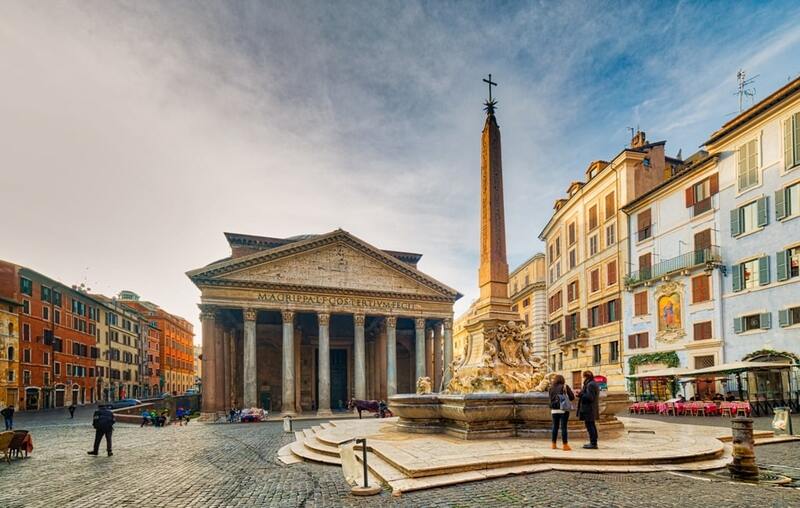 After visiting the Museum, walk for just a few more minutes and you will stumble across the Pantheon; this temple is one of the oldest buildings in Rome, and has remained un-tampered with, meaning it is entirely authentic. The temple’s purpose was to serve as a place of worship to Roman Gods, and today, you can visit this amazing sight for free! 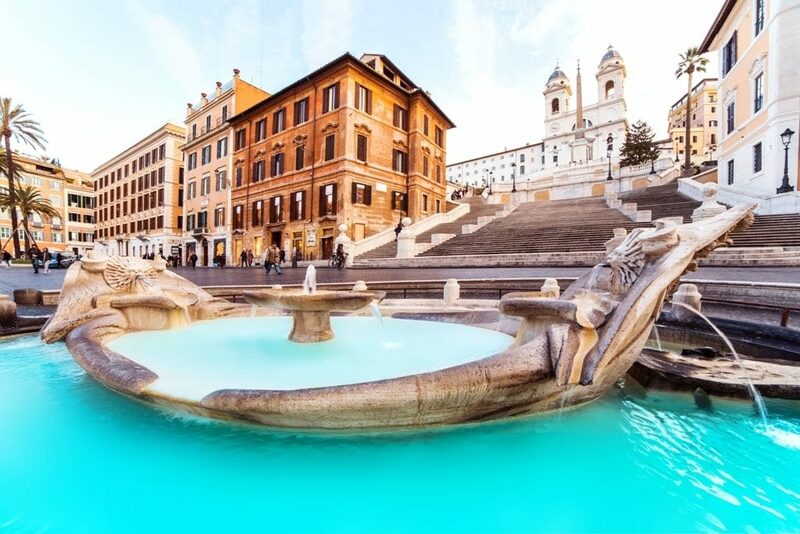 After lunch, take a stroll around Piazza Spagna, and admire the magnificent Spanish Steps. In the tourist months, the steps are crammed with visitors snapping selfies and admiring the view, whilst in the quieter months, it is a lot more peaceful; nonetheless, it is one of Rome’s highlights. If you are finding the Steps a little too busy, dive into The Keats-Shelley Museum, which is located at the bottom. Here you can discover the famous Romantic poet, John Keats’s last resting place, as well as many other artefacts of the Romantic era, such as those of Percy Bysshe Shelley and Lord Byron. 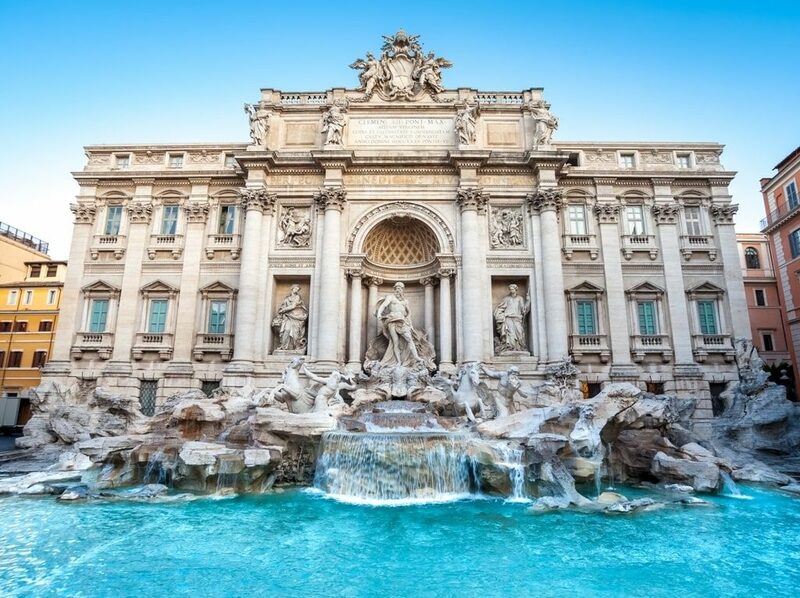 Just a short walk from the Spanish Steps is the wonderful Trevi Fountain; it is obligatory that you throw a coin over your shoulder into the fountain and make a wish! Like most sights in Rome, the Trevi Fountain does get incredibly busy in peak season, so it may be a struggle to get close to the Fountain. 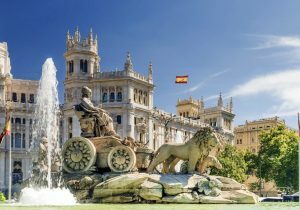 However, the surrounding area is beautiful and there are lots of lovely shops and bars, so if the crowds and heat are getting too much, stop for a gorgeous Italian coffee or Gelato. 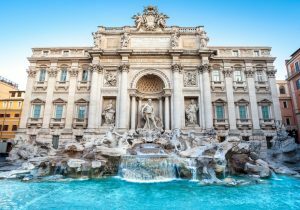 Despite there being so many sights to see in Rome, part of the city’s charm is the general hustle and bustle of Italian culture. Although Rome’s public transport is brilliant, this city is meant to be walked; that way, you don’t miss the gorgeous side streets and abundance of life that the city exudes.